Welcoming and warm, carpeting is one of the modern world’s favorite ways to floor, gracing all kinds of homes and gathering spots. Carpet can give your room an immediate transformation, while adding comfort, colour, and texture. At Oshawa Carpet One Floor & Home we have a strong passion for helping new customers find the perfect carpet product, based on tastes, budget, and needs. Let’s further explore the world of carpeting. Depending on your intended project, certain types of carpeting could prove the best options for you and your family. Modern innovation has given us more carpeting options than ever before: carpeting to suit nearly any need, taste, or price range under the sun. That means it’s always a great idea to take a careful inventory of your carpeting requirements before making any final decisions. Carpet pile, or fibers, should be of first concern when shopping for carpeting. These carefully woven threads will determine how your new carpet will perform. Carpet pile may be made using either natural or synthetic fibers: materials such as nylon, polyester, olefin, and wool. Frieze or “shag” pile has a trendy and unique appearance, with its twisted, soft fibers. Soft, comfortable shag carpets are good in casual spaces. Level loop pile has a uniform appearance, with shortened, looped fibers. Level Loop carpets are perfect for high-traffic zones. Patterned pile has an upscale appearance, with loomed fibers forming fancy patterns. It works best in formal living rooms and other similar spaces. Textured pile has a casual look, with long pile and a rough texture that makes it easy to conceal soiling and stains. It works great in active homes. Plush pile has a highly luxurious appearance, with a velvet-like texture. It tends to be pricey and footprints tend to show up quickly, making it best reserved for quiet, formal settings. Are you desperately seeking flooring that will instantly change your room’s overall appearance and mood? Carpeting can accomplish this, and so much more. Whether you’re seeking a carpet that can coexist with kids and pets, or a carpet that can keep you from hearing noise from neighbors downstairs, we’ve got a carpet for that. At Oshawa Carpet One Floor & Home in Oshawa, ON, discover one of the region’s most expansive carpeting collections. Here you will find all of your trusted brands, coveted styles, and localized services. As members of North America’s largest flooring cooperatives, we have both the buying power and the competitive pricing you want and need to make your vision a reality. 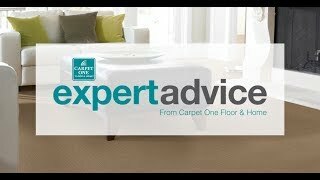 With these easy tips and suggested maintenance schedule, we promise you’ll love your new carpet for many years to come. What’s hot and what’s not when it comes to carpeting? Here are some of the latest, greatest looks, compiled by our onsite style experts.